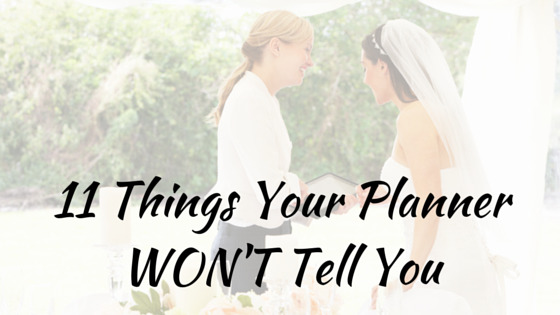 No planner wants to work with a bridezilla, but an indecisive bride can be just as challenging. 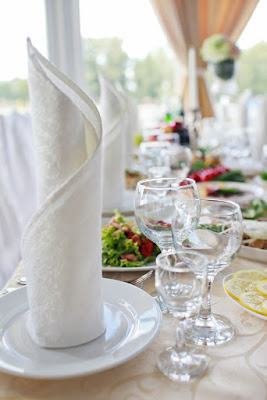 It's your planners job to coordinate the overall event - it's your job to choose which color tablecloths you want. 4. Your planner is serious about deadlines. They're in the contract for a reason. Your event planner is experienced and knows when certain things need happen in order for the whole event to run smoothly. Deadlines are not the recommended day to handle a certain task. Make sure that things are done before the deadline hits. 5. Your planner is not your personal assistant. 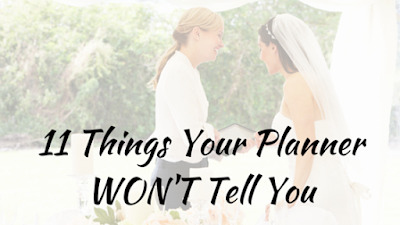 You have hired your planner to help you coordinate your wedding - not to wrangle your uncooperative bridesmaid or apologize to insulted family members on your behalf. Be careful not to involve your planner in your personal issues. 6. You have to give your planner the opportunity to get to know you - and you have to cut her some slack. Your coordinator is there to help you plan one of the biggest events of your life, but chances are you had never met her before you started working together. You can't expect your planner to make suggestions you will absolutely love if you don't give her the chance to get to know you first. Remember to be kind when she makes a suggestion you dislike. 7. Your planner may have set vendors she has agreed to work with. By signing a contract with your event coordinator, you may also be signing a contract to work with certain vendors. Find out if she does have agreements with certain vendors so you can decide if you are comfortable working with them before you sign. 8. Your planner does not have to be licensed. There is no specific training or licensing that event planners must undergo before they are allowed to practice professionally. Most event planners are experienced and talented coordinators, but it still important to check references and referrals before signing a contract. 9. Planners get days off in the middle of the week. Since most weddings happen on the weekend, event coordinators often have to take their days off in during the week. Hopefully your coordinator will let you know in advance which days she will be inaccessible, but keep this in mind in case you don't hear back from her immediately on a Wednesday. 10. You are not your planner's only client. Planning your wedding may be the most important thing in your life right now, but chances are your wedding coordinator is working with several other brides at the same time. Be courteous and conscious of the fact that your planner's life does not revolve around you. 11. Your wedding is her livelihood. Budget-conscious brides may understandably try to haggle their planners down to a more affordable price, but it's important to keep one very critical fact in mind: planning your wedding is your coordinator's livelihood. It's her way of putting food on the table. It's not wrong to try to save a few bucks, but don't be disrespectful or devaluing of your planner's service.